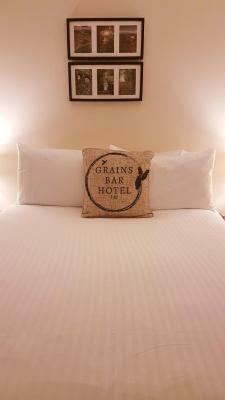 Lock in a great price for Grains Bar Hotel - rated 8.6 by recent guests. very difficult to find and very quite. ie no other guests around. Light breakfast great. Fantastic views and good pub next door service real ale. Beautiful location. Friendly staff. 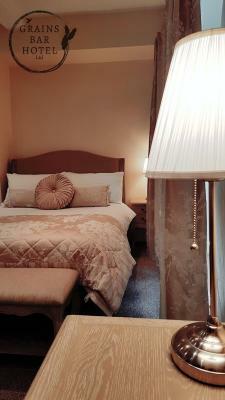 Really comfy rooms. The light breakfast was perfect. Do-it-yourself toast so it was just as we like it. Cereals, tea, coffee, fruit juices. Fabulous. Great value for money. Staff very friendly and helpful. Comfortable beds. 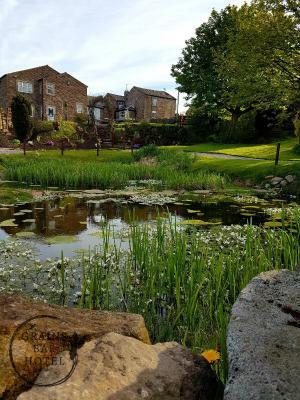 The property is set in beautiful surroundings, and currently being refurbished. 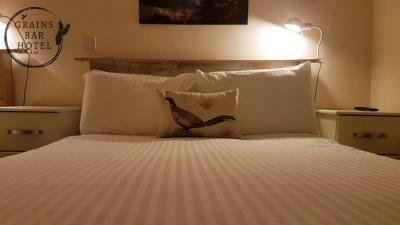 The place was immaculate and although I didn't have an en suite - my mistake for not booking it.. the shared bathroom was of a very high standard. Kim the lady on duty was very kind and helpful, and a delight to chat too. Despite my late arrival, she was happy to prepare a light meal for me. Overall a lovely stay. 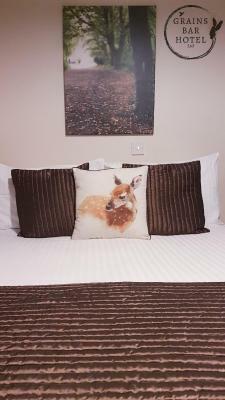 The staff were really welcoming and the bedrooms were really comfortable, bathroom facilities were clean and the shower was excellent. 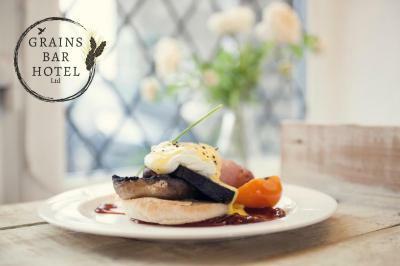 Set in 9 acres of farm land, 17th-century Grains Bar hotel offers a warm atmosphere and rooms with free Wi-Fi. There is good motorway access and free parking. 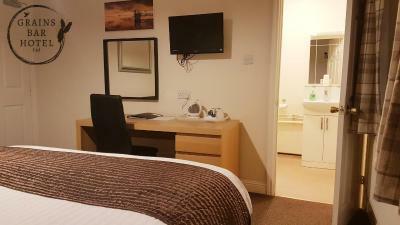 All of the rooms at the Grains Bar have a TV and tea/coffee making facilities, and some have en suite facilities. Most rooms have excellent countryside views. There are 2 relaxing lounges and a bar. 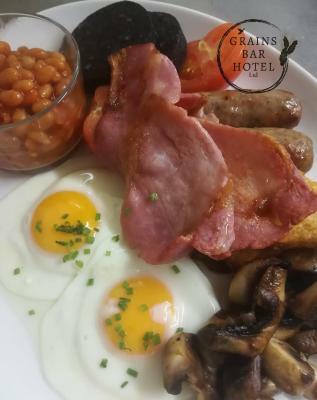 A free light breakfast is provided for each guest. Evening meals are provided Monday to Thursday and should be ordered in advance. Catering for weddings, Grains Bar Hotel offers a permanent marquee, which seats up to 75 guests. Guests can also book horse riding tours and guided walking trips at the property. This property is also rated for the best value in Oldham! Guests are getting more for their money when compared to other properties in this city. Grains Bar Hotel has been welcoming Booking.com guests since 4 Dec 2009. 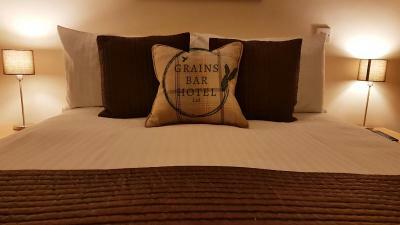 When would you like to stay at Grains Bar Hotel? 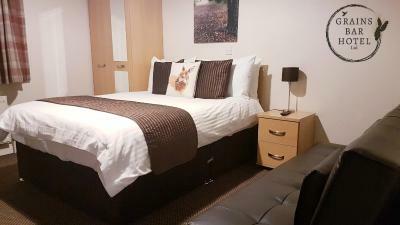 This triple room features free Wi-Fi, a flat-screen TV, an electric kettle and a seating area. 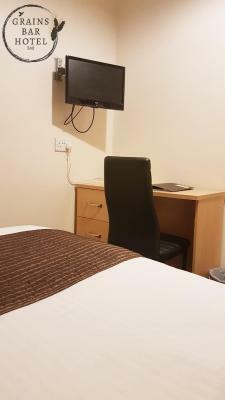 This triple room has a flat-screen TV, electric kettle and seating area. 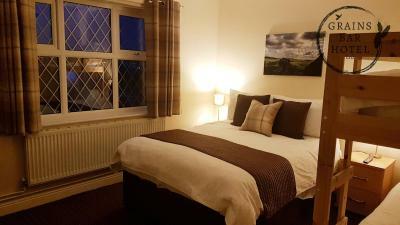 This triple room features a view, free Wi-Fi, a flat-screen TV, an electric kettle and a seating area. 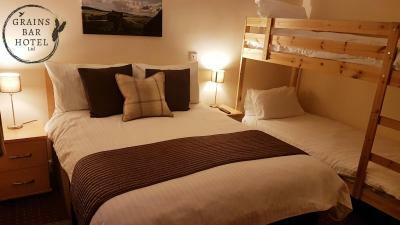 This triple room has free Wi-Fi, a flat-screen TV, an electric kettle and a seating area. This family room features free Wi-Fi, a flat-screen TV, an electric kettle and a seating area. 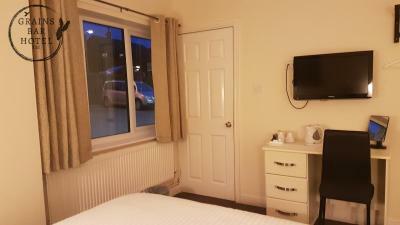 This double room has free WiFi, a garden view, seating area and electric kettle. 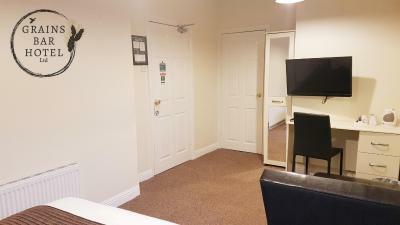 This double room features free WiFi, a flat-screen TV, a balcony, an electric kettle and seating area. 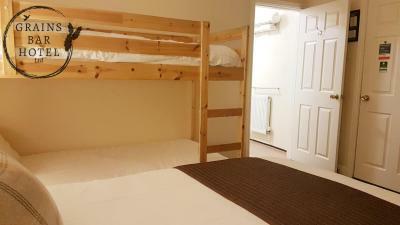 This double room has free Wi-Fi, a flat-screen TV, an electric kettle and a seating area. 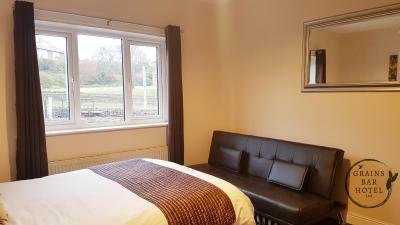 This triple room features free Wi-Fi, a flat-screen TV, a view, electric kettle and seating area. 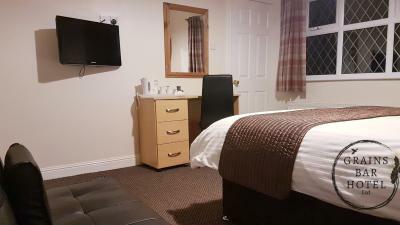 This triple room features free WiFi, a flat-screen TV, seating area and electric kettle. 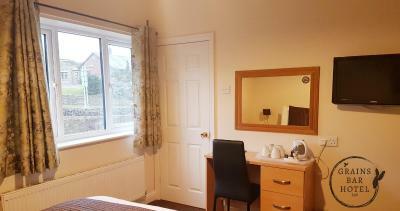 This single room has free Wi-Fi, a flat-screen TV, a seating area, garden view and electric kettle. 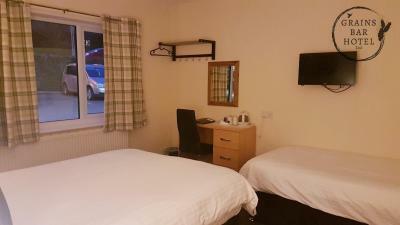 This double room features free WiFi, a flat-screen TV, an electric kettle and a seating area. 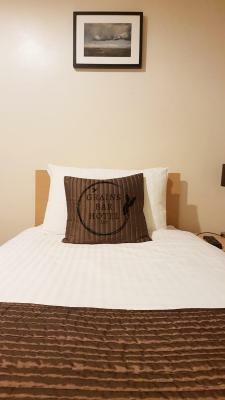 This double room has free Wi-Fi, an electric kettle, a seating area and flat-screen TV. 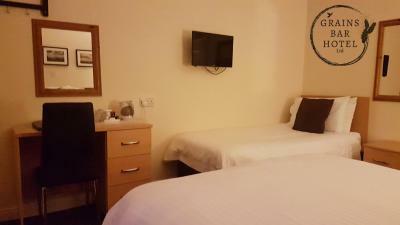 This double room has free WiFi, a flat-screen TV, an electric kettle and seating area. 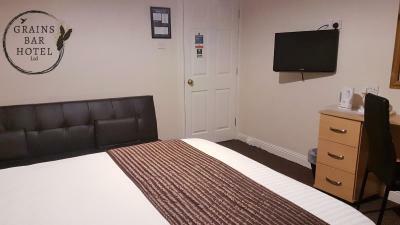 This double room features free Wi-Fi, a flat-screen TV, electric kettle and seating area. 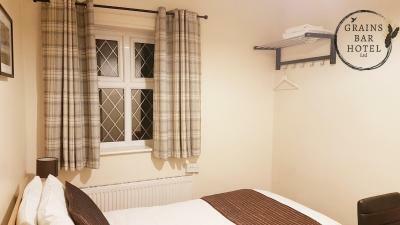 This single room has free Wi-Fi, a seating area, garden view and an electric kettle. 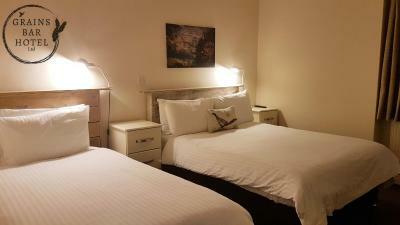 This twin room has 2 single beds and features free Wi-Fi, a flat-screen TV, an electric kettle and a seating area. 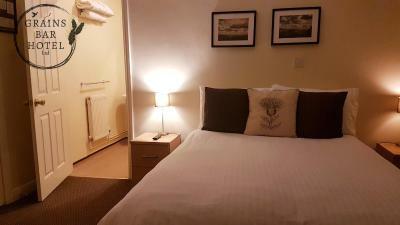 This twin room has 2 single beds and features free Wi-Fi, a seating area, flat-screen TV and an electric kettle. 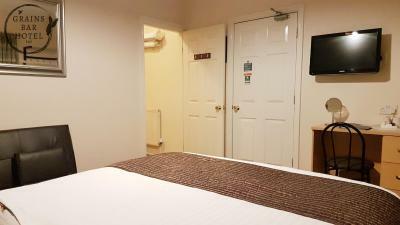 This twin room has 2 single beds and features free Wi-Fi, a flat-screen TV, a seating area, an electric kettle and view. 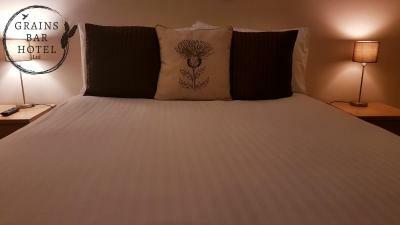 This double room features free Wi-Fi, an electric kettle, a seating area and a flat-screen TV. 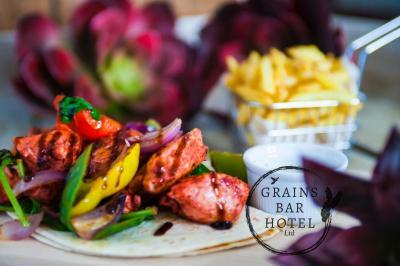 House rules Grains Bar Hotel takes special requests - add in the next step! Grains Bar Hotel accepts these cards and reserves the right to temporarily hold an amount prior to arrival.